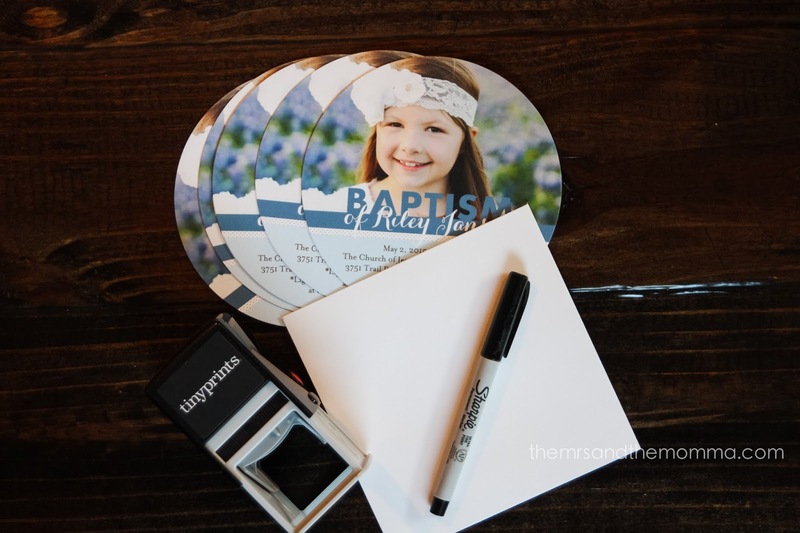 Riley's baptism is coming up this next weekend and we couldn't be more excited! 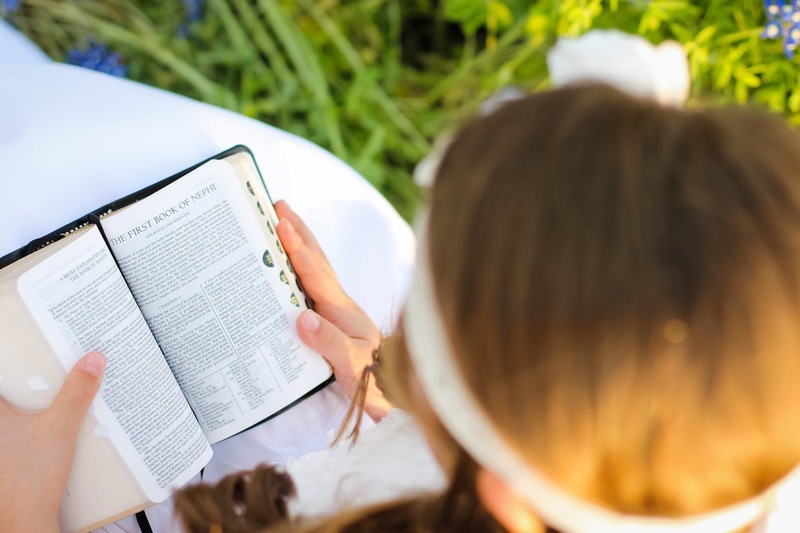 For those of you who may not know much about our church, most kids raised in our faith are baptized at 8 years old...which is the age at which we believe they can be accountable for their own choices and that they are old enough to understand the importance of convenants made during baptism. Riley has made this wonderful commitment to follow her Savior and we are so very proud of her! We got these cute invites made from Tiny Prints, which I was thrilled with. I felt like the circular ones were so unique, and they looked just as I had hoped once they arrived in the mail. Aren't they adorable!?! Today, I'm mailing out the last of them (procrastination, much?). 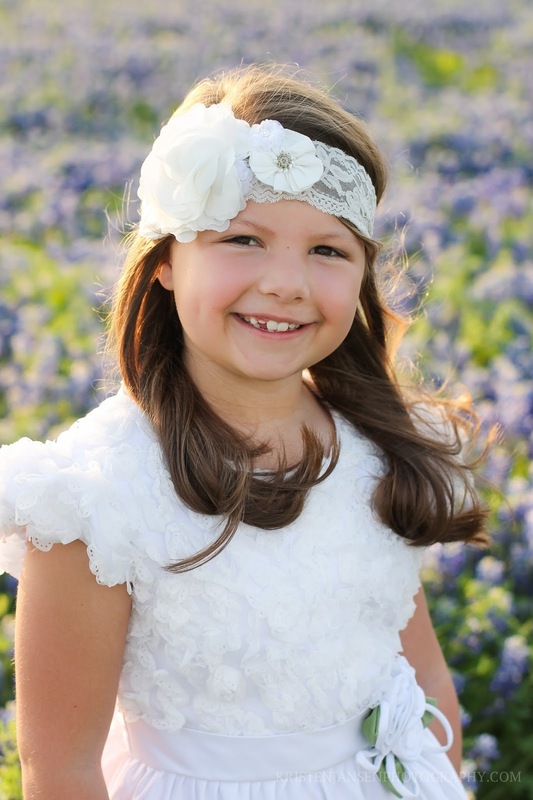 A few weeks ago when the bluebonnets were still in full bloom, I snapped some shots of Riley in her baptism dress. 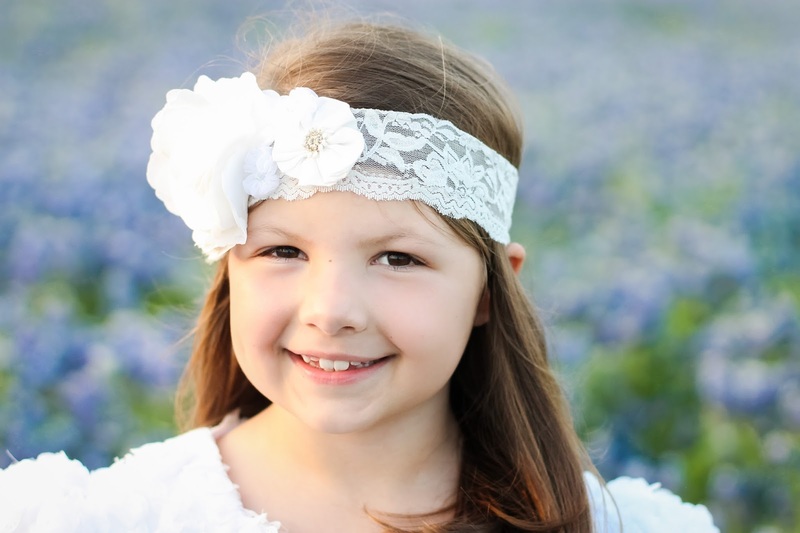 I thought I'd have a heck of a time finding a suitable one she liked (she has the most particular style of any 8 year old I've known), but we came across a gorgeous one from Zulily and she approved right away! The pictures don't quite do it justice, as I didn't get a full-lenth shot of the entire dress...it's beautiful on her!